Dr Jengo's World: Wishing you a very Happy New Year and looking forward to what's in store for 2016! Wishing you a very Happy New Year and looking forward to what's in store for 2016! The blog has been a little quiet but it has always been the case in December. 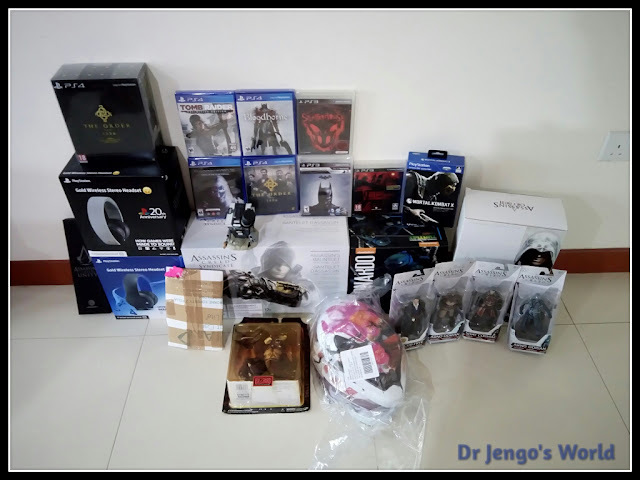 Christmas shopping, going away on a holiday, spending more time gaming always disrupts the blog updates but with the holidays out of the way, it's time to come back with a bang. Plenty of new stuff in, especially during the last month. With the Black Friday Sales, Cyber Monday Sales and what not.. there's lot of new stuff, including some stuff that I have yet to unbox. Made plenty of new gaming friends in 2015, many of whom are from Temasek Thugs.. so I have been spending a lot of time in GTA Online once again. With our own Whatsapp group, which is active throughout the day, it has almost become like a brotherhood. Too many of you guys to name, but you all know who you are! Also been spending some time in Borderlands: The Handsome Collection. Borderlands 2 & The Pre-Sequel were 2 games that I haven't completed so it's great to have a co-op partner in Dinesh. 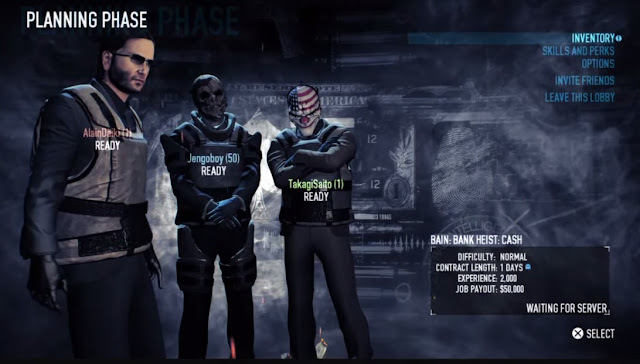 Just this past week, I have 2 new heisting members in Payday 2: Crimewave Edition! Alain, Darius and I have worked together to complete many heists in GTA and are now going to bring it up another level in Payday. Hoping to get 1 more member to make the 4th crew member. Of course, not forgetting the Evolvers/GameStarters group, who have been together for about 1 and a half years now. Wow time flies! Always a fun group to chat with about games, movies and GameStart! Also, the many friends on Facebook! 016 is going to be a great year for movies.. and apart from the dozen or so awesome movies, there's going to be two great game-related movies! 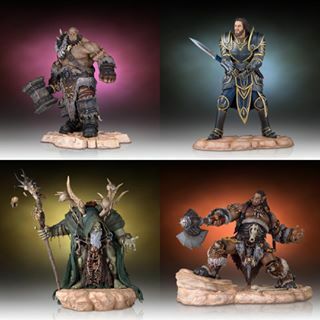 Assassin's Creed & Warcraft. Game-related movies haven't had much of a success so far but I have a little more hope in this duo. Why? A lot of the movies we have seen so far, tend to be based on games that don't have a lot of lore. Most of these games tend to be enjoyable because of the game-play and the immersive-ness it brings. so without these, the movie loses the essence of whatever makes the game enjoyable. Uncharted 4 is probably the first game of 2016 that I'll be getting on Day 1. Thanks to the delay, pushing it back to April 26, I'll have more time to complete the Uncharted Collection. Of course, whatever Assassin's Creed game that comes out next year will also be a Day 1 purchase. Games like Far Cry Primal, Mafia 3 & the Assassin's Creed Chronicles are definite purchases but I might wait a little longer for perhaps a sale, to get these. How many times have I bought games on Day 1 only for me not to play it until much later. Seen a lot of these games go on huge discounts even before I start playing them. Will have to purchase wisely this coming year. Then they are games like BattleBorn, Hitman and Dishonoured 2 which I have to consider even about making a purchase. Unlike the early years of my collecting hobby, it isn't the case where only the really popular games get collectibles and where most of the collectibles are only from Collector's Editions. With gaming a more widely popular source of entertainment, a lot of new collectible companies are taking up licenses for games. Catching up with my collection has gotten a lot harder and I expect it to worsen in 2016. Once again, I'm telling myself to choose wisely. I haven't actually planned what I should get next for 2016, especially after having spent quite a bit over the holiday sales, but it will come..
Lastly, for the blog... doesn't seem too good eh? With me choosing more wisely on new games & collectibles, will it get inactive? Definitely not! I will still be getting tons of new stuff, but just not everything I see. I will still be playing lots of games and getting more stuff for the collection, so definitely tons to share. Also with collecting and gaming getting more popular, I would love to meet more friends. So once again, Happy New Year everyone! Stay in touch!